The Head of the Colorado (PumpkinHead Regatta) is held annually on the last Saturday of October. ARC has been hosting this regatta since the mid-1980s. 2019 marks the 35th Annual PumpkinHead Regatta. This 5,000 meter head race on Lady Bird Lake in Austin, Texas offers events for the following: Junior, Collegiate, Open, Adaptive and Masters rowers. 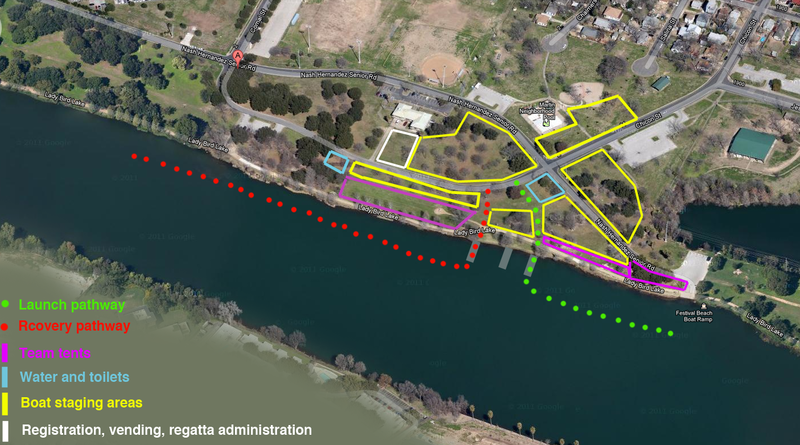 The 2019 Course will row through six of the seven bridges on Lady Bird Lake. It starts at Barton Creek and travels through the bridges eastward. The turns are all gradual and there are lots of great spectator locations on the bridges, near the start, at Festival Beach Park, and on the boardwalk. The Head of the Colorado is located at Festival Beach Park on Lady Bird Lake, Austin, Texas. Google Map Venue map showing team tent locations and boat lay down locations. Trailer Parking – Please see the overview and detail maps of trailer parking. 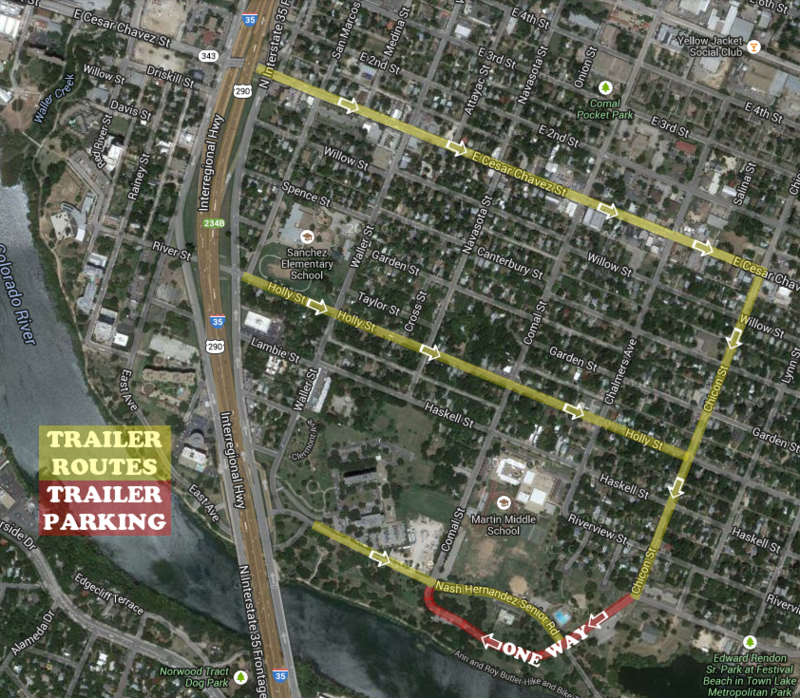 Trailers shall be parked in a westbound orientation on Chicon Street. Venue Parking – Limited parking is available within one block of 1600 Nash Hernandez Senior Road, along the south side of Nash Hernandez Sr. and where available on Chicon and Comal. All visitors must honor traffic cones, barriers and No Parking signs or risk ticketing or towing.